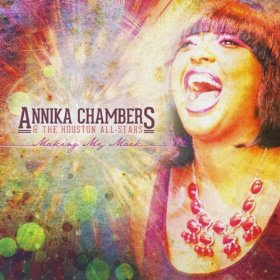 I just received the newest release, Making My Mark, by Annika Chambers & The Houston All-Stars and it's got a lot of strengths. Opening with Move, Chambers does just that. 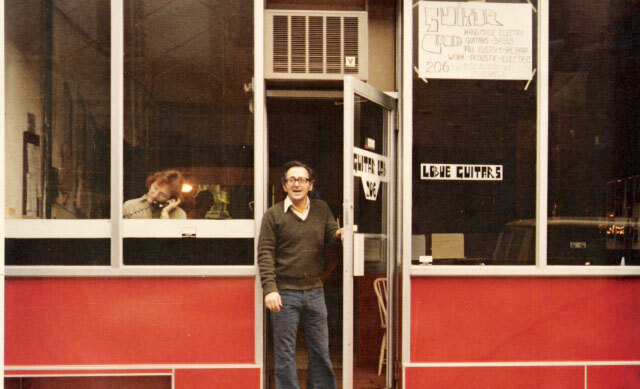 A funky soul track. finds Chambers with a smooth but edgy voice leading the way with Nicoya Polar, Sheree Howard and Dominique Fulcher. I particularly like the understated but super guitar work from Corey Stoot on this track. A catchy number this could easily get a lot of airplay in multiple venues. Barnyard Blues is a uptown shuffle with cool bass lines from Larry Fulcher and great horn work from Anthony Terry on sax. David carter and Brad Absher handle the guitar work on this track. Jealous Kind is a straight up ballad with a honkin sweet sax solo by Terry. Lick 'er is a strong funk catchy track with super key work by Barry Seelen and saucy vocals by Chambers and Polar overall. Very hot! Tony Braunagel lays down some nice drum work and Terry again hot on sax. Trust Me has Houston swagger with a bit of country flavor. Down South is a direct airplay ballad and is strong;y written, arranged and executed. That Feel Good has that neo soul sound with Fulcher, Kerry Cartwright (drums) and Stoot contributing significantly to the overall sound. 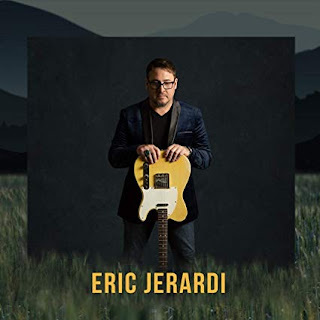 Put It Where You Want It is a cool pop track with nice clavinet work from David Delagarza, King Curtis like sax work from Kyle Turner and nice guitar riffs from Absher enveloping nice vocal harmonies from Chambers, Delagarza, Stoot, Fulcher and Polar. Nice! Guitar Boy is a light swaying soul track with jazzy blues riffs delivering a sweet melody sung by Chambers. It Hurts Me To My Heart has a cool New Orleans/Fats Domino roll. Randy Wall lays the groundwork on piano while Chambers delivers the goods. Anthony lays a nice bed of sax and David Carter takes a clean guitar solo right down the middle. 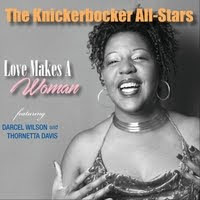 Wrapping the release is Let's Get Down To Business, a funky blues rocker has a few pace changed and cool horn work by Darrell Leonard. Carter again steps up with a clever guitar solo and Chambers leads the charge with solid vocals. This is a cool release with a lot of cool sounds and Chambers has a particularly strong voice.